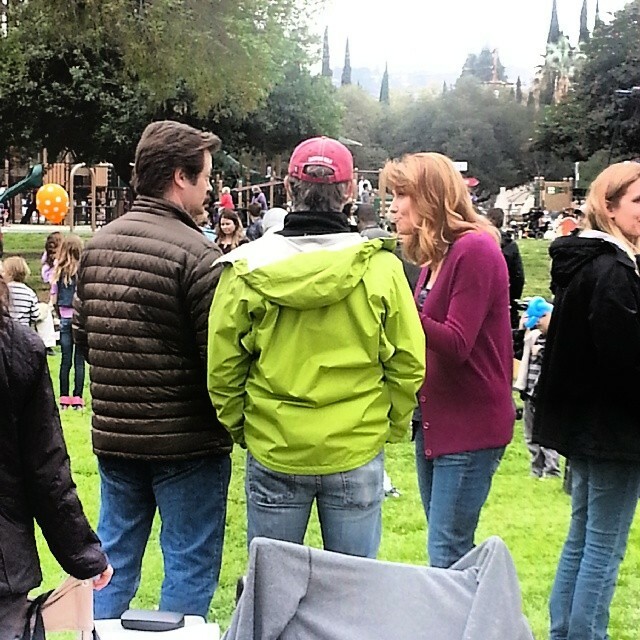 The blog Calzones Are Pointless has posted a photo of Lucy on the set of Parks and Recreation season finale. In addition to Lucy, it seems the First Lady Michelle Obama is making an appearance. Megan Mullaly is also in the episode. Ron’s Fun Office – Deleted Scene from the Season 5 Episode 11 Women in Garbage episode of Parks and Recreation Ron’s got quite the setup for Diane’s kids! ▪ The First SciFi Musical Was....Xena's The Bitter Suite!